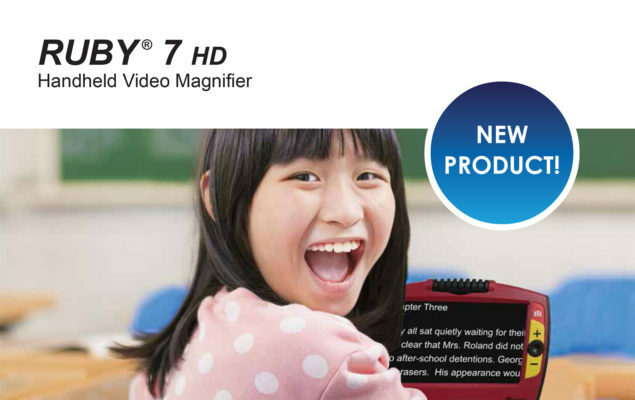 Ruby 7 HD is Freedom Scientific’s newest handheld video magnifier in the popular Ruby series. 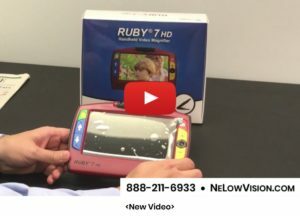 Ruby 7 HD comes with a bigger screen, higher magnification and all sorts of new and improved features, including the new PivotCam™— a rotating camera that gives you even more viewing options. 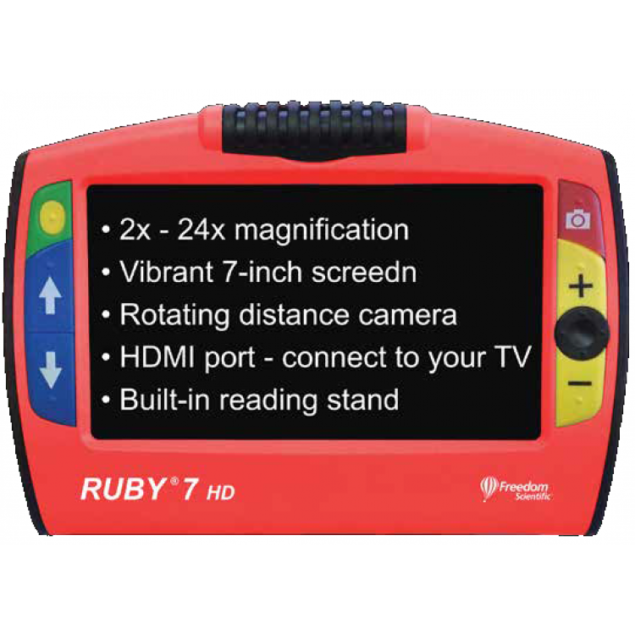 Ruby 7 HD has a bigger 7-inch screen (2 full inches larger than other Ruby magnifiers) that lets you see more and gives you even more magnifying power. 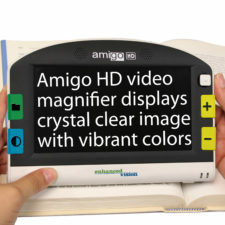 This larger screen can display more text and images so you can see more and reading is easier. 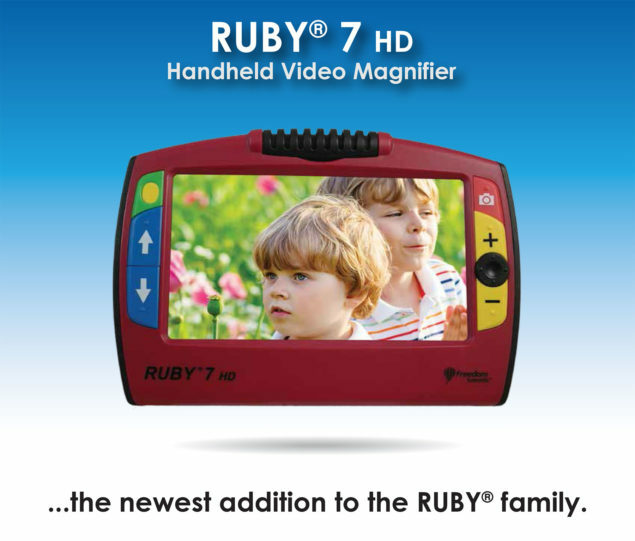 The bigger screen size also gives you 24x magnification (versus a 14x maximum with other Ruby magnifiers). 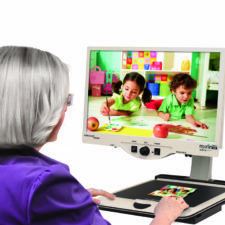 Adjustable reading lines and masks, along with 20 high-contrast color viewing modes help you adjust the image to your personal settings for your best optimal viewing and reading ease. 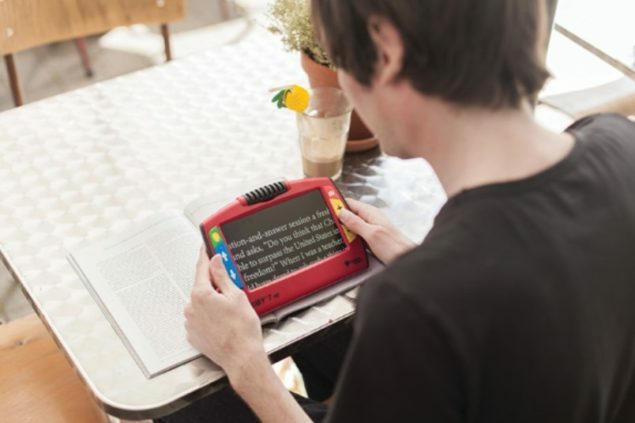 Ruby 7 HD comes with a built-in reading stand designed for your ergonomic comfort while you read the newspaper, books, magazines, mail, letters, cards and more. 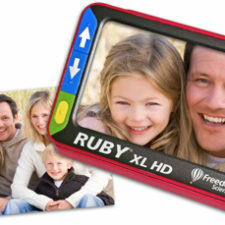 For even more magnification, use Ruby 7 HD’s Freeze Frame feature to snap and hold an image. 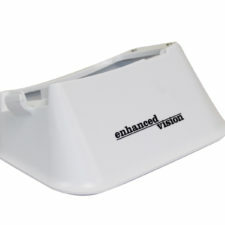 Then you can zoom in and pan around for increased magnification. Use the full-size HDMI port to easily connect to your television so that you can magnify your tv for an even larger view. Use the USB port to save and send images to your computer. 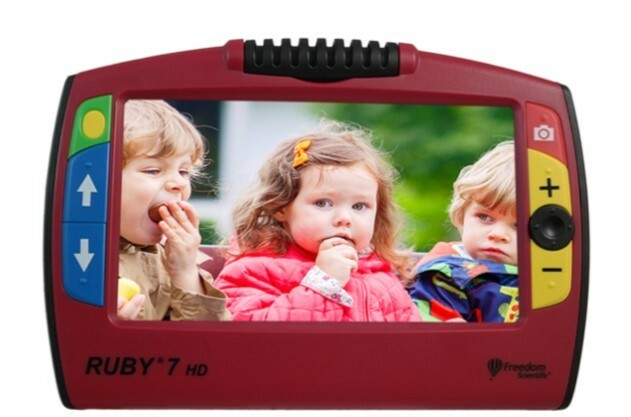 Ruby 7 HD is ultra-portable with a 3-hour continuous use battery and weighing just 18 ounces, so you can take it with you wherever you go. 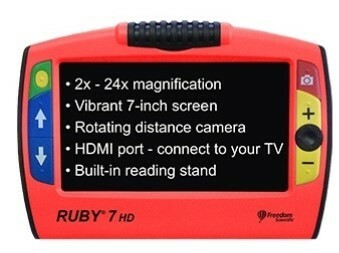 What’s Included with your Ruby 7 HD Handheld Video Magnifier?